Released back in July 2017, the Samsung Galaxy Note FE had the tough task of patching up Samsung’s reputation after the whole Note 7 disaster. 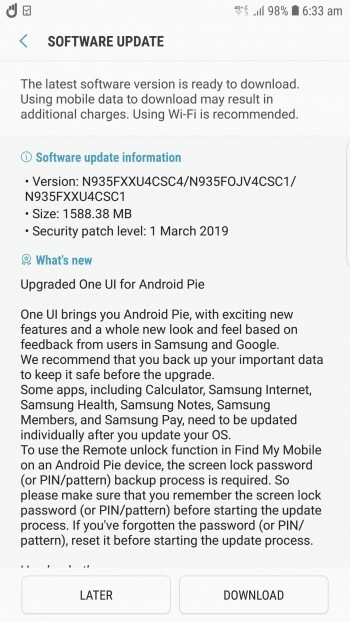 While the days of exploding Note 7’s are long gone, Samsung hasn’t forgotten its Note FE users and rolled out an update to Android 9.0 Pie with OneUI on top. 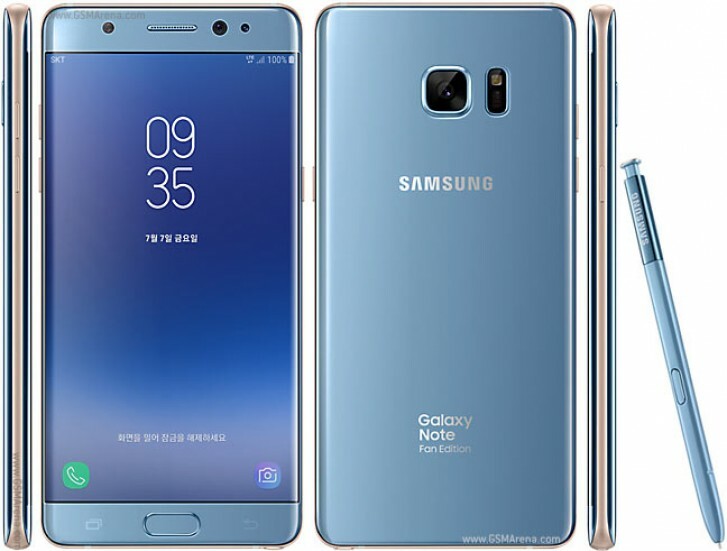 As a reminder, the phone features the same design and specs as the ill-fated Note 7 with the main difference being the battery capacity, which was reduced to 3,200 mAh. Other highlights include the 5.7" QHD Super AMOLED display, 12MP OIS rear camera and Exynos 8890 chipset. While not surprising, this move certainly proves that Samsung is capable of supporting its premium devices for more than two years. The Note FE originally shipped with Android 7.1.1 Nougat and this will mark the second major OS upgrade in its life cycle after. It remains to be seen how the Note FE will handle the new firmware but judging by its solid internals, there shouldn’t be any problems. The update is currently live in Saudi Arabia with other regions expected to receive the update soon.